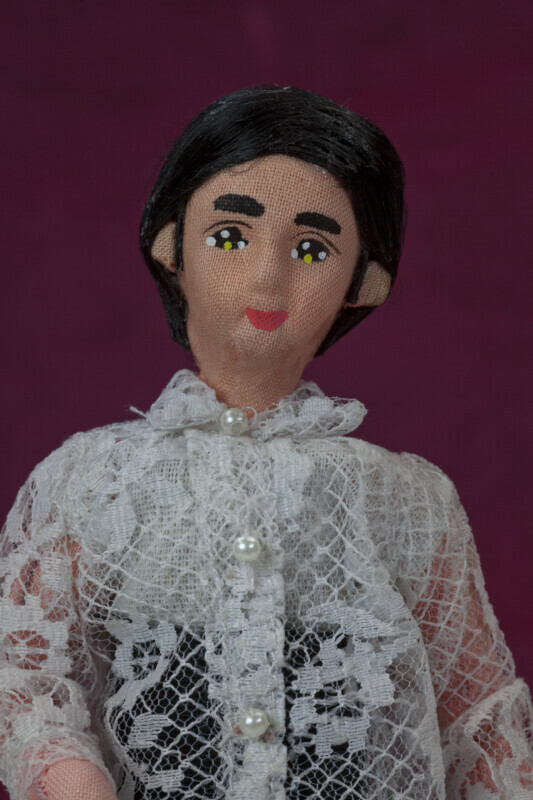 Male Filipino fabric doll wearing a traditional Barong Tagalog shirt. The Barong Tagalog is made from lace and has white beads for buttons. He is wearing black pants and black shoes. He has black hair and a hand painted face. The figure is 7 inches (18 cm) tall.